(JTA) — A former Nazi SS guard who was sentenced to five years in prison by a German court for his role as an accessory in the murder of at least 170,000 people in the Auschwitz-Birkenau extermination camp in Poland has appealed his conviction. 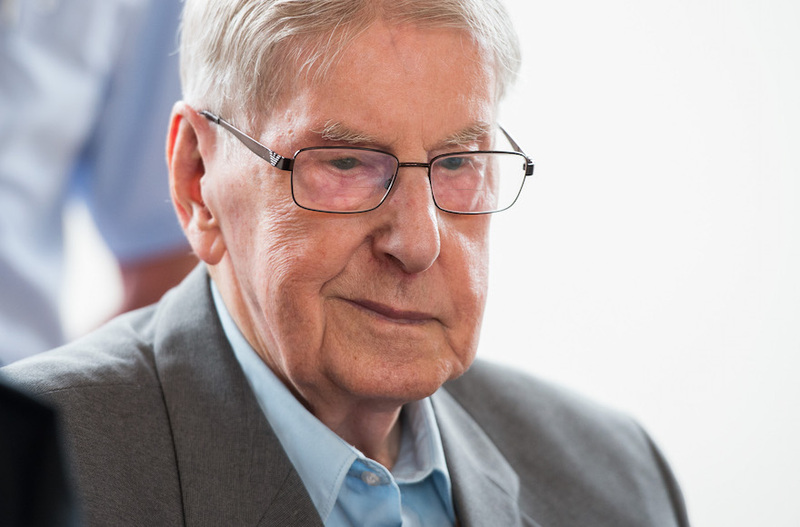 Attorneys for Reinhold Hanning, 94, filed appeals of the verdict handed down earlier this month by the district court in Detmold, in the state of North Rhine-Westphalia, The Associated Press reported. Lawyers representing nine Auschwitz survivors or their families as co-plaintiffs at the trial also appealed the verdict, according to the AP, which could not provide further details. Hanning will remain free while he appeals. He joined the Waffen SS in 1942 and was posted that year to Auschwitz. Hanning had joined Hitler Youth in 1934. His is likely one of the last trials of Nazis in Germany. Clues leading to about 30 suspects in late 2013 came from the Central Office for the Investigation of National Socialist Crimes in Ludwigsburg, which made a major push to identify former death camp guards after the conviction of John Demjanjuk in 2011 for his role in the murders of nearly 30,000 Jews at the Sobibor death camp in Poland. Demjanjuk died in a German nursing home in 2012 during his appeal.